The charming appeal of beaches in Mauritius is renowned across the whole world and is simply irresistible. . . . thumbs up and a big WOW! Volcanic in origin and surrounded by a coral reef, Mauritius Island is gifted with stunning beaches. Visitors from across the world have been marvelled by them. Soft white sand, warm breezes and emerald-blue sea waters combine perfectly to make the long beautiful beaches of the island an alluring attraction. You could be asking yourself, "what is the most beautiful and favourite beach of Mauritius?" Hmm. . . it is difficult to give a succinct reply. Each one has its own distinct characteristics and peculiarities. The long fascinating beaches of the eastern part of Mauritius, refreshed by the southeast trade winds blowing from the ocean, are embraced by gorgeous hues and shades of the rising sun. In the south, however, there is a dramatic change of scene. Roaring waves crash in a whistling fury against the jagged cliffs, frothing water droplets in the saliferous air. Although I swam, snoozed and sun-soaked on all of them….. and love them all..., I do have a fondness for Cap Malheureux. It’s like a “love at first sight” encounter! Oh! I feel I am getting biased. 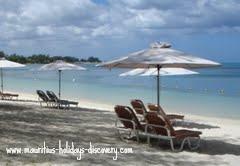 Let’s move on to have a look at all the beaches of Mauritius and you will surely discover your own sweet spot. Bain Boeuf is a beautiful beach in the north of Mauritius near Cap Malheureux. From here you have a fabulous view of Coin de Mire. British troops landed at this place in 1810 to invade the island and launched an attack against the French colonists. Grand Baie, often referred to as the C'ôte d'Azur of our island, is a superb seaside tourist village located in the north. 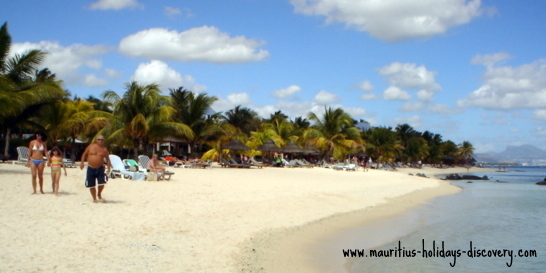 Undoubtedly it is the sexiest beach in Mauritius! Play, party and have fun at Mon Choisy - a lively beach stretching more than 2 kilometres from Pointe Aux Canonniers to Trou Aux Biches. The Old Lighthouse is an attractive historical vestige at Pointe aux Canonniers - a beautiful seashore flanked by two lovely beaches - Mon Choisy and Grand Baie. An enchanting beach indeed! Poste Lafayette will fascinate you by the roar of its surfs all along the rugged untamed coastline. Lovely Belle Mare is one of the most gorgeous beaches in Mauritius. Its classy style and natural beauty cannot miss to captivate you! A monument on the beach, in the fond memories of South African Airways’ Helderberg victims, reminds us of this tragic crash at sea. 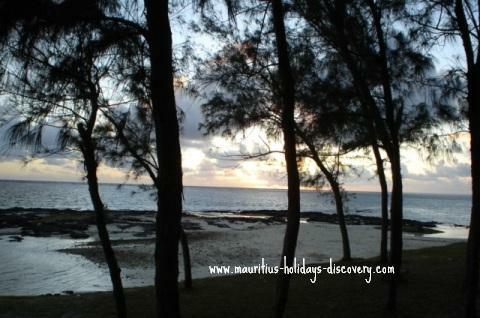 The Coast of South East Mauritius extends from Trou d’Eau Douce to Blue Bay. A trip along this countryside coastline is simply droolworthy. The captivating savage nature of the south is unmatched to other beaches in Mauritius. You’ll be enthralled by its rustic beauty – whether you are at La Roche qui Pleure, Baie du Cap or Macondé. The vortex at Riambel is a "must visit." Check for updates, and thank you for visiting.